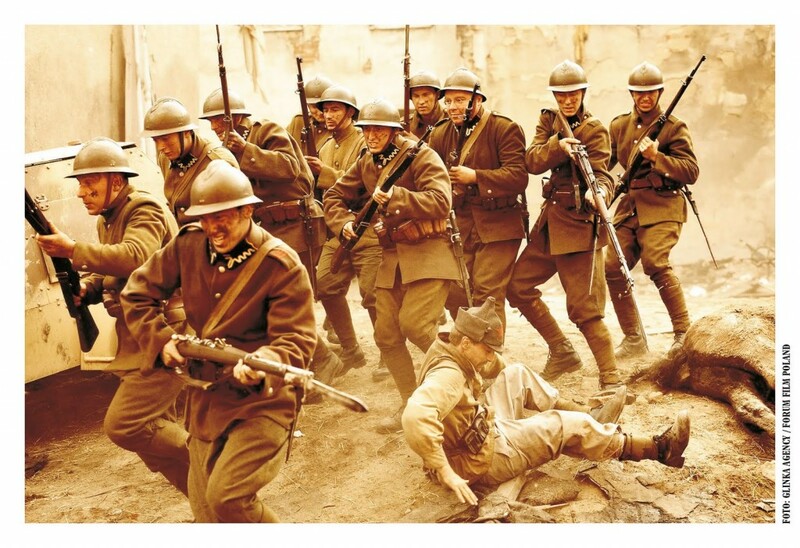 The Battle of Warsaw 1920 is celebrated on 15th August as the Polish Armed Forces Day. 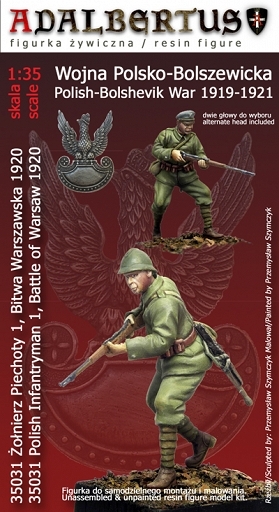 It is the largest Polish victory in the twentieth century, and had to be immortalized with figurines from Adalabertus. See the two figures in 1/35 and more scale from our offer. In 1918 Poland regained independence after 123 years of division between Russia Prussia and Austria. Main conflict of the new state was against Bolshevik Russia. Althought Bolshevik propaganda supported independence of Russian Empire nations, But Poland was different problem. Since several hundread of years Polish settlement were spread to Smolensk and Kiev. Polish Troops were entrenched on Berezine river banks. In Germany was revolution and Bolsheviks needed to destroy Polish State in way to Germany. The ongoing since the winter of 1919 Polish-Bolshevik war was coming to a climax, the Bolsheviks regained control for the majority of the resources of Russia and were almost ready to strike to the west, to help the revolution in Germany. Advance blow Polish and Ukrainian allies to Kiev forced the opponent to fight before the concentration of the whole force. Polish Army went into retreat behind the Berezina and Kiev. 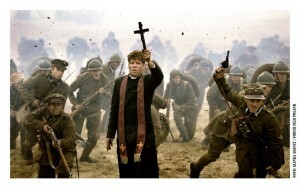 The focus of the enemy was large, and there was a real possibility of his plans. Luckily, the Red Army attack coordination, lack of concentration of its forces in the direction of Warsaw created a favorable situation – the south wing of the Bolsheviks was exposed. When at city of Radzymin units Polish Army opposed attack on the capital, from Wieprz river it was launched a counter-offensive. The plan developed by General Rozwadowski and masterfully performed by the Marchall Pilsudski led to cut-Bolshevik forces and their break. In one and a half years after independence, young Polish State has shown that it is able to maintain its independence. Adalbertus offers several figures of Polish-Bolshevik War. 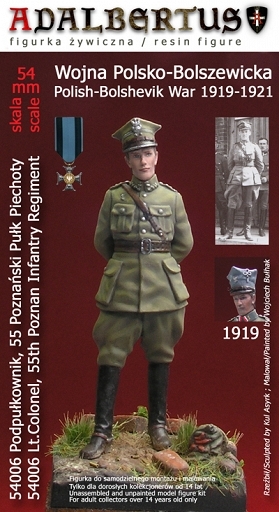 Two 1/35 figurines sculpted and painted by Przemek Szymczyk from Lodz represent soldiers in regular uniform wz.19 and French Adrian helmets or caps “maciejówkach” – to choose from. 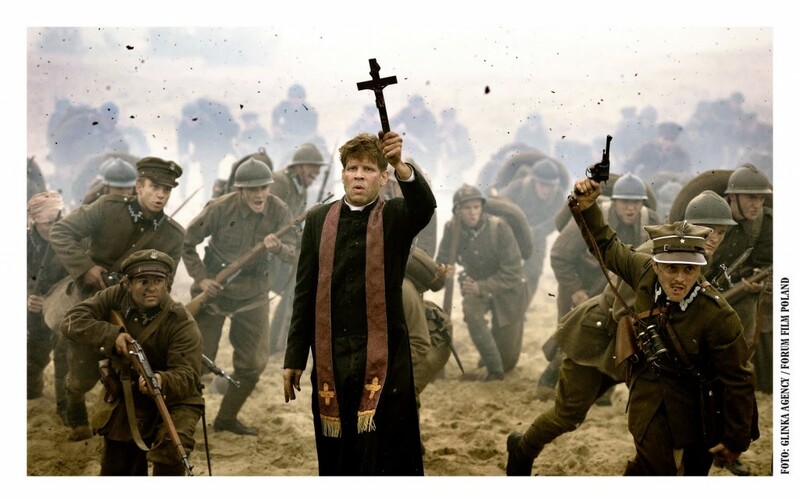 Of course, the soldiers in this campaign fought in all available uniforms, Polish Armed Forces (1916-1918 – Polnische Wehrmacht), French uniforms in the units of gen. Haller and Greater Poland units. Our figures “by the book” have universal application, can be used even as soldiers of reserve formation, or replacements in the 1939 War. Figures are arranged in a pose of enabling the creation of the diorama of the Battle of Radzymin or next to the advancing 1/35 scale model tank Renault FT-17. See also article on website Figus . 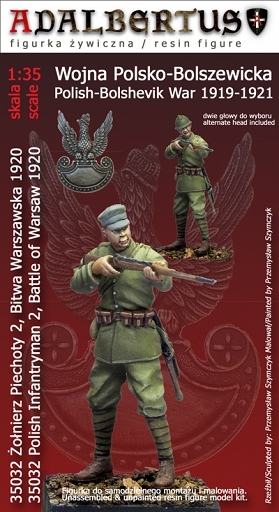 In addition to figures on the scale of 1/35, the period of the Polish-Bolshevik War also includes figures Officer of the 55th Infantry Regiment of the Greater Poland (54mm scale) and Merian Cooper – pilot of Kosciuszko Squadron (scale 1 / 48). Officer 55 Regiment fits the period of retreat from his Berezina and spearhead of attack from Wieprz river. 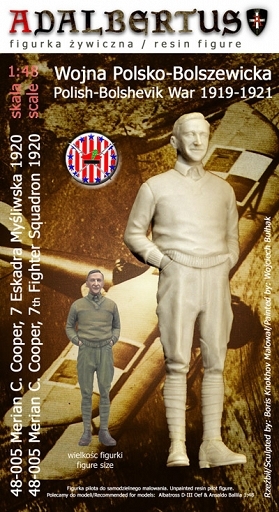 Merian Cooper is perfectly suited to stand next to model aircraft Albatros D-III OEF or Ansaldo Ballila.